Let’s face it Seahawks fans, Seattle has not fared well against the Dallas Cowboys since they squeaked by them in the Wild Card round back in 2007. In the two matchups since that win, Seattle has lost 38-17 in 2009 and 34-9 in 2008. I’m not exactly sure how it works out as to why the team has had to fly to Dallas for three consecutive games now, but I guess that’s just how it has worked out. Dallas comes into the game with a 3-4 record. They have two close wins over the 49ers and Redskins, and a 34-7 victory against the Rams. Apparently, if it weren’t for the NFC West, the Cowboys would really be hurting right now. Of course, if it weren’t for some mistakes this season by their quarterback Tony Romo, Dallas could potentially be 6-1. So far this year, Romo has showed that he can throw for a ton of yards, nearly 2,000 already this season, but when it comes to closing out the game he’s not getting the job done. In his Friday press conference, Pete Carroll talked about the many things that Romo does well. There was also a lot of focus on the Seahawks quarterback and whether Tarvaris Jackson would once again be healthy enough to get the start. Jackson spoke about his injury in his Thursday press conference. Tarvaris had some interesting things to say about the up-tempo offense they’ve been running. Not only did he like it because it has the potential to slow down the pass rush, but Jackson says he is calling 60-80% of the plays depending on the rhythm. Despite the growing comfort level of Jackson in the offense, this has the potential to be a rough game for the Seahawks. The things the Cowboys seem to do best are some of the team’s biggest weaknesses. Despite Romo’s struggles to close out games, the Cowboys have a strong passing attack. Up until last week the Cowboys have been tough against the run, another thing Seattle hasn’t done well with this year. The Cowboys also have outside linebacker DeMarcus Ware, who has been terrorizing quarterbacks this year. Just last week alone, he got to Michael Vick four times. When you think about how athletic a guy like Vick is, that gives you an idea about just how good Ware is if his 12 sacks this season weren’t already a good indication. “He can get around the edge, he can bull rush, he can pretty much do it all,” said Jackson. So not only are the Seahawks facing a talented team, they’re going to have to try and pick up a win in a hostile environment. As the team enters the second half of the season, how the team does in the next 11 games is going to give us fans a good feel for the direction the team will need to take in the offseason. Some of the things Jackson said in his Thursday press conference really impressed me, and combined with some impressive things he’s been able to do on the field behind a young line. Jackson is still relatively young and I get the sense that he’s going to make the most of this opportunity to prove something that he didn’t have the chance to try and prove while he was in Minnesota. He clearly takes the team’s losing record to heart, but with the team starting to come together and get more comfortable he appears optimistic that things are going to start to turn around. At this point, a winning record over the next 11 games would be a great start, and with a win on Sunday against the Cowboys it would definitely represent a solid step toward accomplishing that goal. The Seahawks game against the Cowboys is not scheduled to be shown on American Forces Network or Direct-to-Sailor this weekend. 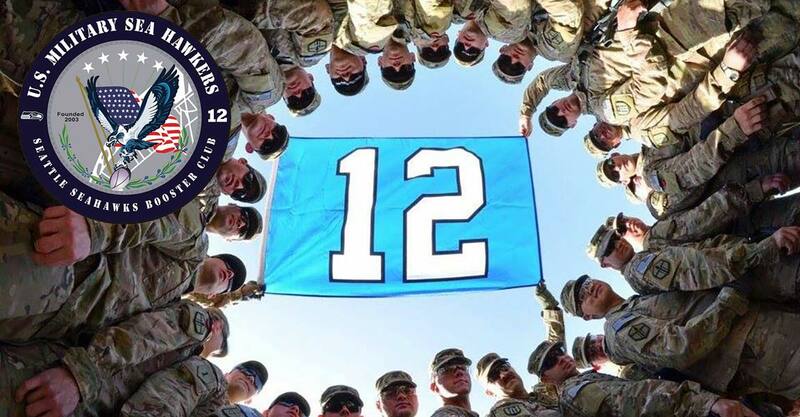 If you want to help get the Seahawks games shown overseas, please “Like” American Forces Network on Facebook at https://www.facebook.com/myAFN and then select “Fan’s Choice” on the right side to vote for the game of the week. Hopefully we can work on spreading the word and get the Seahawks Military Appreciation Day game against the Ravens on AFN.